Being a fly on the wall when citizens gather to play Scrabble nowadays might well demonstrate their notion of “crypto” equaling “bitcoin,” and who can blame them? Bitcoin came first, and has for better or worse been crypto’s poster child ever since. Most global citizens immediately associate Bitcoin with the words “crypto” or”cryptocurrencies.” Although Bitcoin might be synonymous with cryptocurrency and is virtually interchangeable in the average consumer’s lexicon, this might not be such a great thing for digital coins as a whole. If Bitcoin flounders or spooks investors, many simply dismiss cryptocurrency as a whole as being a lousy idea. Planets of understanding and possibility get lost in the quick jump to defining the cryptosphere by Bitcoin alone. Many other extremely valuable and dynamic blockchain projects that are completely divorced from Bitcoin get tarred with the same brush, when Bitcoin alone makes the news. An obvious and direct correlation exists between market cap and coin publicity, but this is akin to likening computing to Bill Gates. Gates is one man who developed a computing platform, albeit a pretty globally successful one. To define “computing” as synonymous with “Windows” would be laughable, but that’s exactly where most consumers are on blockchain technology and digital coins – it’s all Bitcoin. 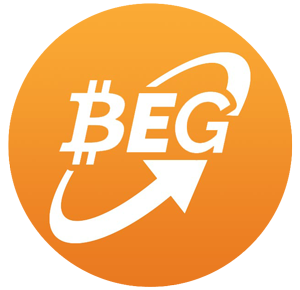 Many users are greeted with a BTC or ETH stipulation when funding a wallet or opening an exchange account. The typical dictate is that wallets must be credited with one of the two top currencies, although Binance, for example, allows payment in other virtual currencies. Some exchanges like Coinbase even allow fiat conversions, but these are the exceptions. Because of the predominance of BTC, there is a skewed association between Bitcoin and the cryptosphere as a whole. The prevalent insistence on bitcoin that compels investors to buy it in order to get onto the ladder contributes somewhat to a small amount of artificial inflation of the bitcoin price. Especially for newcomers, the current default position on exchanges and elsewhere is that everything seems tied into the bitcoin price. This was cemented during December 2017, as rocket ship Bitcoin took investors into the realm of fantasy, if only for a moment. A valid question arises around whether, for whatever reason, bitcoin is indeed a transactional digital coin. Is the coin possibly artificially supported by default, and will it be toppled as a global currency as soon as another more seamless and appealing coin comes along? Investors aside, how good is bitcoin as money? Many retail investors and some prominent commentators as well predict much higher values by the end of 2018 for BTC. It’s also presumed, in these comments, that all other altcoins and the cryptosphere as a whole will benefit from any rise in the price of BTC. It seems none are posing the relevant question, however: is this such a good thing? In many ways perhaps the cryptocurrency arena is akin to the early days of the internet. Then, the internet was indeed an etheric sphere and relatively unknown in application. Soon enough, various entities emerged and became new definitions for online life. So too does the world now await the evolution of diverse and unrelated entities to define the cryptosphere going forward. As things currently stand, in focusing on Bitcoin, the industry has enabled a system where movements in the Bitcoin ecosystem are easily noted and monitored. The tremendous centralization that is happening via the major players like Binance and Coinbase makes it easy to monitor the flow of digital bitcoin. This does enable valuable analysis and intel, but it also hinders the innate privacy promised by virtual coins. If bitcoin is such a known, countable and controllable asset, what becomes of user anonymity, no matter that wholesale visibility often ends at a wallet address? When the majority of cryptocurrency transactions happen with bitcoin and ether, and these movements happen on a relatively few exchanges around the world, what becomes of one of the central tenets and promises of Bitcoin? How private is such a marketplace? There are many advantages for users employing decentralized exchanges. Both security and reliability – two bugbears of legacy exchanges – are dealt with far more capably on a decentralized exchange. That said, the prevailing wisdom is that users cold vault the majority of their funds off-exchange, making for tighter security than a traditional exchange account. Although digital exchanges are currently often pricey to employ, at least in comparison with legacy houses, prices are dropping as teething issues are resolved. Higher volumes are also encouraging exchanges to refine their typical high volume-low margin model, bringing prices even further down. This is good news for bitcoin and the cryptosphere as a whole, as the less barriers to trade for existing enthusiasts and the less barriers to entry for newcomers, the better all round. The whole potential for the emergence of a “centralized blockchain world” is a current and heated debate, as various large entities are dominating in the exchange and mining sectors. In order that a project is deemed “decentralized,” it must have censorship-resistant and immunity elements. No one can censor on the blockchain, and no one should be able to even begin thinking about corrupting aspects of it for their purposes. While technically Bitcoin’s application fulfills these criteria, what genuine remnants of this ethos will remain in a cryptosphere dominated by centralized players? And is this bad news for the cryptosphere as a whole? Possibly most importantly, does bitcoin’s dominance (and users’ constant referral to bitcoin as the whole of digital coins) generate what essentially amounts to a centralized node? And will this damage Bitcoin’s future standing, if it is seen to shed much of its promised anonymity that was so applauded when it first launched? The shifting and diminishing of legacy money power was a fundamental tenet of bitcoin’s value. It remains to be seen whether it can hold up in a relatively centralized marketplace. Apart from fundamental decentralization, there a host of other characteristics to be maintained and supported in order that bitcoin maintains its value. By way of example, bitcoin must remain a “trustless” currency. As soon as users begin to question network security, things start falling apart. Although zero censorship was one of the libertarian dreams generated by Bitcoin, running key aspects and manifestations of the blockchain through highly centralized exchanges can compromise that. On the up side, centralized exchanges do currently address the needed step for many of converting fiat into cryptocurrency. In a nutshell, many decentralized exchanges enable user trade between different digital currencies, while the centralized exchanges afford users the initial opportunity to get their money into the markets. But centralized exchanges adhere to the KYC and AML legislation of their home and other countries, as a rule. For many, this is a frustrating reality, and a compromise of what Bitcoin was originally all about. Previous ReviewNeuroStreet: Cryptocurrency Portfolio Management Program? Turkey Energy Token ICO (XTRL Token): Solar Blockchain-Based Exchange?